Who wrote the Book of Mormon? Members of the Church of Jesus Christ of Latter-day Saints view the book as scripture written by ancient prophets, while critics believe that it is a nineteenth-century fraud created by Joseph Smith or some of his friends. Over the last twenty years an increasing number of scholars have also paid serious attention to this question of authorship. 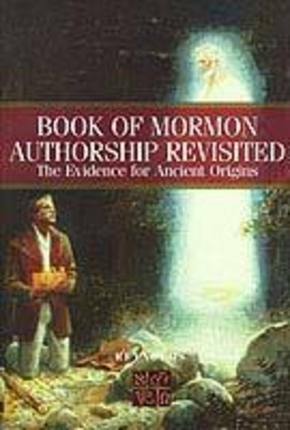 The essays in Book of Mormon Authorship Revisited represent some of the best work that is being done by Latter-day Saints scholars as it reflects on the question of authorship. They demonstrate clearly that the weight of scholarly evidence in on the side of authenticity. Part 1 of the book contains essays that deal with accounts of how the book was actually produced in 1829 and 1830, with emphasis on the translation process and the witnesses who saw the plates. Part 2 takes a look at the logical structure of the authorship debate and reviews the history of alternative criticisms of the Book of Mormon. Part 3 presents textual studies that demonstrate the plausibility of the Book of Mormon as an ancient book, and part 4 updates scholars' attempts to understand the ancient cultural and geographic setting of the book in both the Old World and the New.